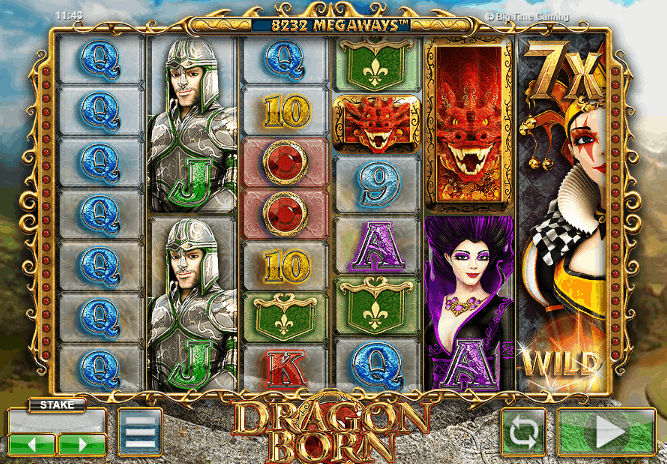 Dragon Born – the first game from their state of the art OMNI HTML5 platform – is arguably the biggest slot innovation in decades and sure to be a legend in the industry! Each of the six reels are dynamic, which means there’s a different number of symbols on each reel for every spin. Game play varies with every play, creating a different array of symbols in each individual reel. The symbols are multiplied across the reels to create the MEGAWAYS™ to win, and any adjacent symbols from left to right multiply for massive win potential.